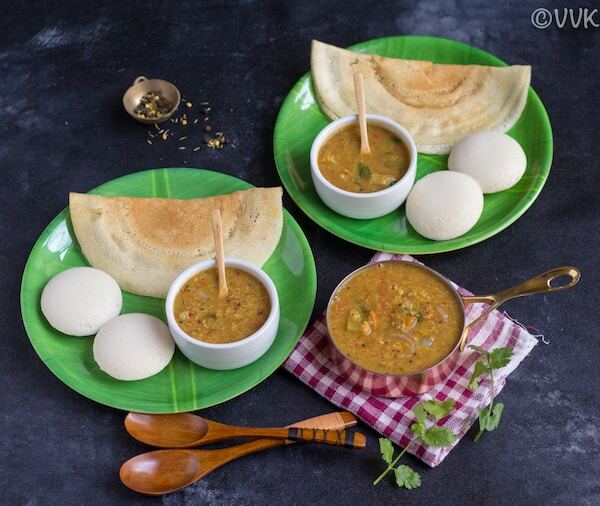 Today I am going to share a delicious gravy made with fresh ground spices, moong dal, vegetables aka the sambar precisely the tiffin sambar that pairs well with idli and dosai. But hey, you can serve this with rice too. Check out how to make this lip-smacking tiffin sambar with a detailed video. Sambar and Kuzhambu are the quintessential dishes in Tamil cuisine. We relish sambar with rice and also with all the tiffin items like idli, dosa, upma, rava kichadi, pongal, and the list goes on. Ok now, confession time. :-) Seriously I can’t get enough of sambar, especially araichuvitta sambar or sambar with fresh ground spices. I make sure atleast I make it once a week. Tiffin sambar is nothing but a variety of sambar that is mainly served with idli, dosai, pongal, and upma. There are zillion varieties of sambar and tiffin sambar recipes on the internet. In fact, I have already shared a tiffin sambar recipe with masoor dal in the sambar vadai post. But this one is my mom’s specialty. How can I not post it huh? Are you wondering how this tiffin sambar is different from my previous one? This sambar is similar to araichuvitta sambar, but we use moong dal instead of toor dal. And, onions and tomatoes are must in this sambhar, unlike the regular one. Also, you don’t need coconut for this sambar. The coriander seeds provide all the flavor to this sambar recipe. Nothing can beat fresh ground spices, but I know it is quite hard to make everything from scratch during weekdays. You can make the sambar powder ahead. As we are dry roasting without oil and also grinding it without water, it stays good. Make sure you store it in an air-tight container. Now without any further ado, here is the tiffin sambar recipe and the video. 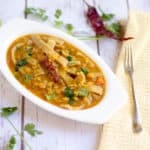 I have 35 different sambar varieties on this blog, and I am so happy to add one more that list. As always, please subscribe to the channel and share the video and help me spread the word. Also, I would love to hear your feedback. Add the moong dal, tomatoes, green chilies, turmeric powder, and 1.5 cups of water. Pressure cook for four whistles or hisses. Let the pressure release naturally. When the pressure is all release, discard the green chilies and mash the lentils and the tomatoes using a potato masher. While the lentils are cooking, you can prepare the spice powder. In a pan, roast the coriander seeds, red chilies, and Bengal gram for about 5 minutes or until the aroma comes over medium heat. Allow the spices to cool down and grind it into a coarse paste without adding any water. In a pan or kadai, heat the oil. When the oil is hot, add the mustard seeds, fenugreek seeds, hing, curry leaves, and shallots. Fry for two minutes. And then add the sliced onions and cook until the onions turn translucent. Now add the mixed vegetables, 1 cup of water and mix. Mix thoroughly. Cover and cook for 5 minutes or until the veggies are soft and tender. Meanwhile, mix 1 tsp of tamarind paste in 1 cup of water. Remove the lid and add the tamarind water and allow it to simmer for 3 to 4 minutes. Then add the spice powder and mix. Make sure there aren’t any lumps. Then add the mashed moong dal and mix. Bring this to a boil. After one boil, garnish it with cilantro and serve it with idli or dosai. Adjust water according to consistency preference. As always adjust the spice and salt according to your preference. PS: If you try this tiffin sambar, please don’t forget to comment and rate this recipe. Also, please check out my videos and do subscribe to my YouTube channel. 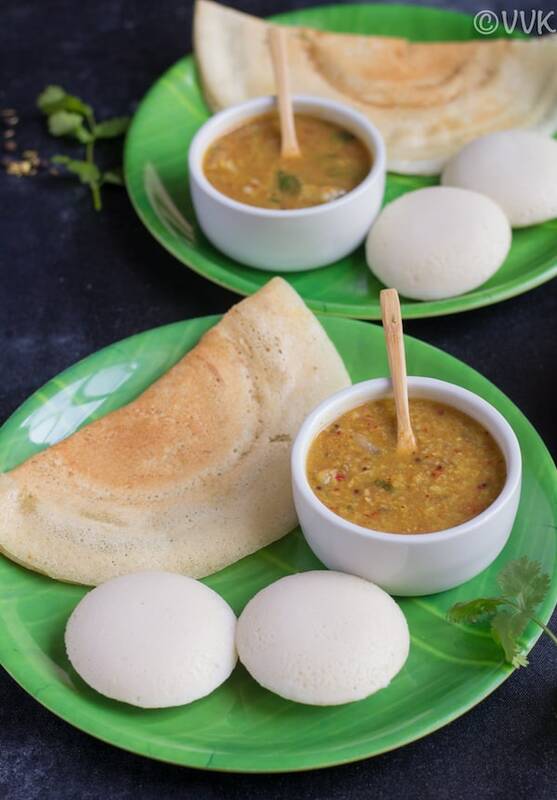 A delicious gravy made with fresh ground spices, moong dal, vegetables aka the sambar precisely the tiffin sambar that pairs well with idli and dosai. Then add the spice powder and mix. Make sure there aren't any lumps. Submitting this post for Blogging Marathon #98 – A 3-day marathon for four weeks. Check out the other participants’ details here. 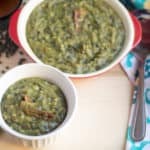 Update Notes: This recipe was originally posted in 2012 but now updated with new photos and video. 35 varieties of Sambhar sound so interesting for me .. checking it out.. 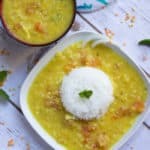 I know only one or two types.. this one with moong dal looks a wonderful combination with dosa and idli.. and so flavorful with fresh sambhar masala!! Love this dosa and idli platter.. so cute and even tasty too. sambar looks very delicious with fresh ground spices. Your picture are fantastic. 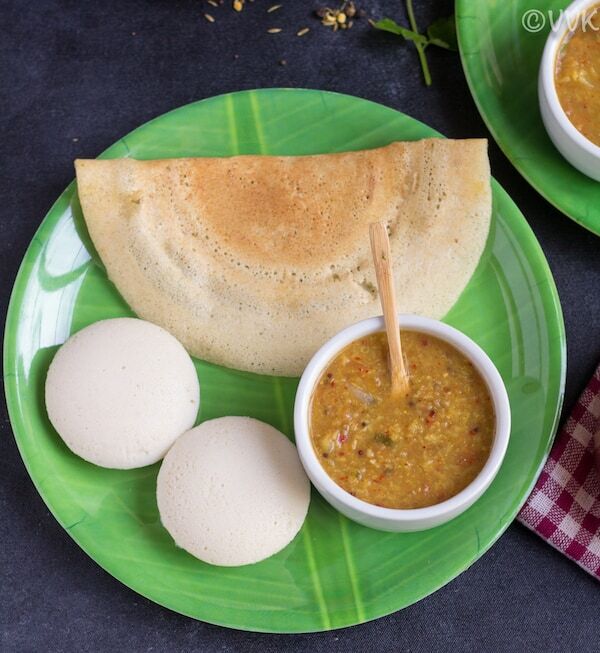 I am seriously hungry looking at that Idli Dosa platter , so beautifully made ! 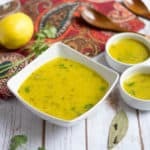 Moong daal sambar is a great variation , would love to try this recipe . Thanks, Vaishali. Please do try and I am sure you will love it. What a lovely and flavorful sambar this is. 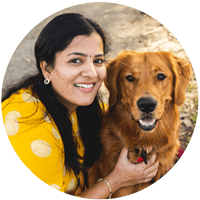 I am sure I need to try all the sambar recipes from your space. :) Love those green plates too. Thanks, Harini. Got those plates from Chennai. Please do try this sambar. I am sure you will love it. I didnt know there is separate sambar recipe for tiffins until my friend told me few years ago. Your dish looks delicious. Oh yeah, we have different types for each item. :-) Thanks much. Sambar is one of our favorites and I can have it daily. This version of sambar with fresh spices look so yum. That platter with dosa and idli looks fantastic. Wow! 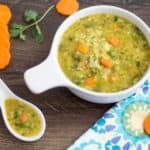 35 sambar recipes! You must really like sambar. This version of sambar sounds so flavorful with all the spices and flavoring ingredients. 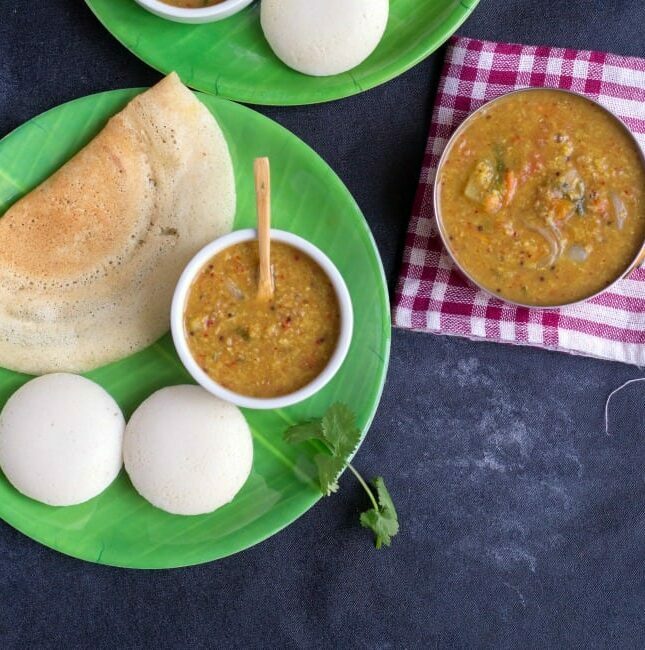 Your platter with idli and dosa looks fabulous. super delicous and tempting sambar.. Pics makes me drool!! Would love idli soaked in sambar topped with little ghee. It’s so divine. Your sambar is so tempting. 35 varieties of sambar is great. Will surely read about them.